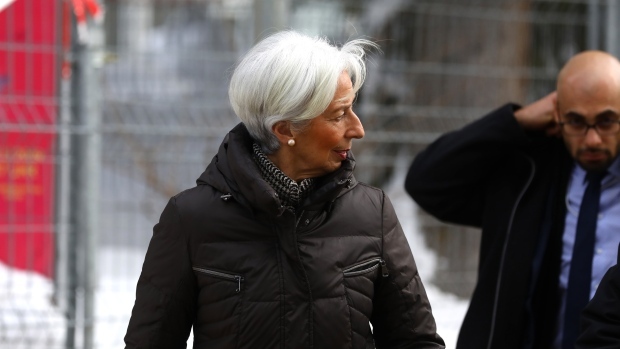 Corporate executives joined the International Monetary Fund in warning the global economy is slowing faster than expected, establishing a downbeat tone for this week’s annual meeting of the World Economic Forum. Hours after the IMF cut its forecasts for the world economy this year and next, PricewaterhouseCoopers LLP released a survey showing 30 per cent of business leaders expect the expansion to weaken, about six times the number of a year ago. The outlooks were published the same day China revealed the slowest expansion since 2009 last quarter and come at a time when investors are questioning the sustainability of demand as it’s buffeted by the trade war and other political flashpoints such as Brexit and the U.S. government shutdown. In executing its second downgrade in three months, the IMF predicted global growth of 3.5 per cent this year, beneath the 3.7 per cent expected in October and the rate in 2018. 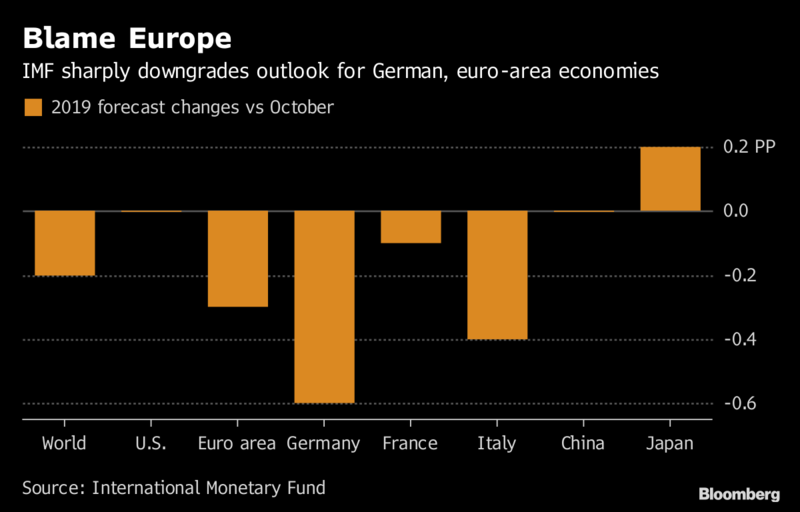 Among major economies, the deepest revision was for Germany, which the IMF now sees expanding 1.3 per cent this year, down 0.6 per centage point from October. The unease is spreading to the board room with North American executives especially worried, according to PWC. The number of them declaring themselves optimistic fell to 37 per cent from 63 per cent last year. There is still some optimism. 42 per cent of those surveyed by PWC still see an improved outlook, albeit down from 57 per cent last year. The IMF also left its projections for the U.S. and China unchanged and even anticipates a pickup in worldwide expansion to 3.6 per cent next year. Still, the probability of more pain is rising especially if the current trade truce between the U.S and China proves short-lived. IMF warns of no-deal Brexit risks with time running out for U.K.